We offer 8 cabins to rent in Ontario on Lake of the Woods. 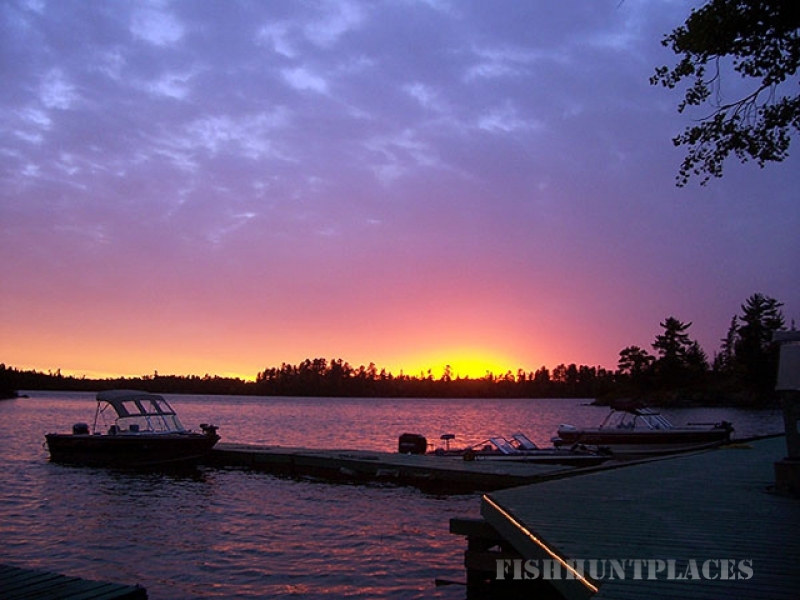 You can plan a Canadian fishing trip unsurpassed by any other at Indianhead Lodge. The lake spans 65,000 miles of shoreline and creates adventures to please everyone. It has over 14,000 islands which invites the most breathtaking scenery. Fishing in Canada on Lake of the Woods is a highly satisfying experience for those looking to land a trophy walleye, smallmouth bass, largemouth bass,northern pike, muskie, lake trout, crappie, perch or whitefish. This lake also offers experiences for sailing, cruising, scuba diving, snorkeling, swimming, canoeing, kayaking, or any water sport you can think of. All the islands are an excellent place for the adventurous people who like to explore. Where else can you have it all? 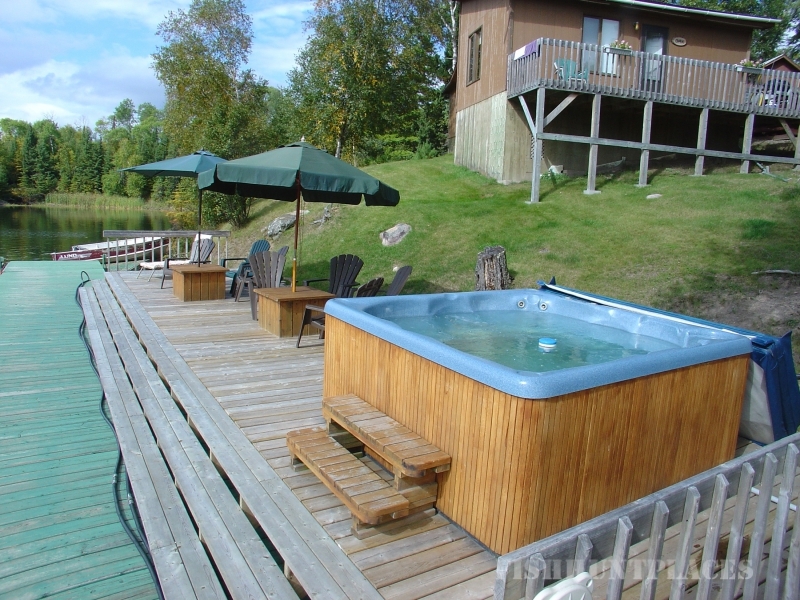 The resort is located 9 kilometres or 6 miles south of the quaint little town of Sioux Narrows, Ontario, Canada. We are nestled on Snake Bay right off of the famous Whitefish Bay on Lake of the Woods. This section of the lake has crystal clear water and has depths of over 100′, housing some of the largest fish on this lake. 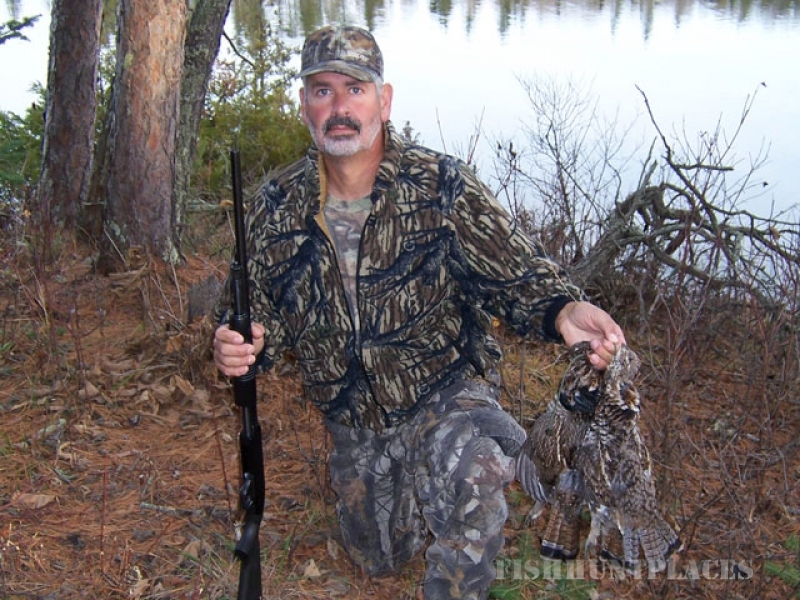 Our guided hunts take place in Northwestern Ontario’s Pristine, remote wilderness. We have one of the largest populations as well as the some of the biggest Whitetail Deer in all of North America! 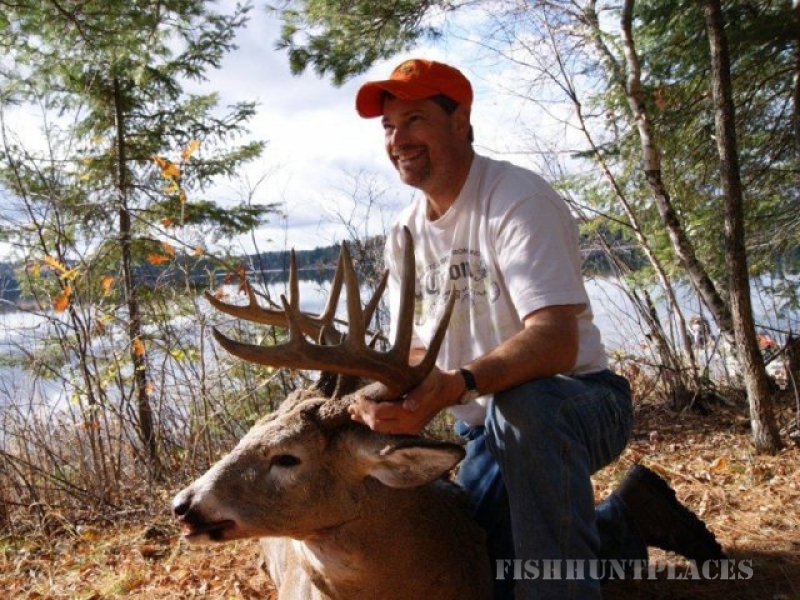 The Boreal forest of our region is an excellent home for Trophy Deer to live. 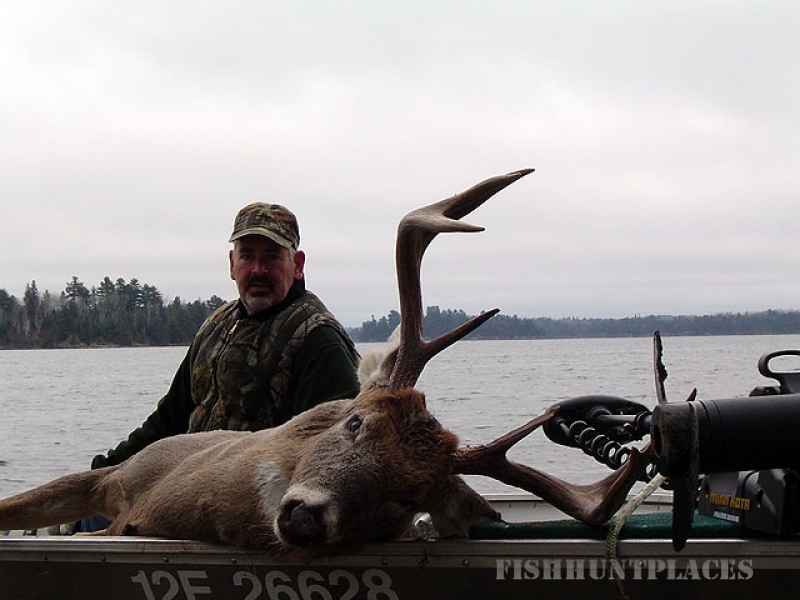 Northwestern Ontario’s deer are big. 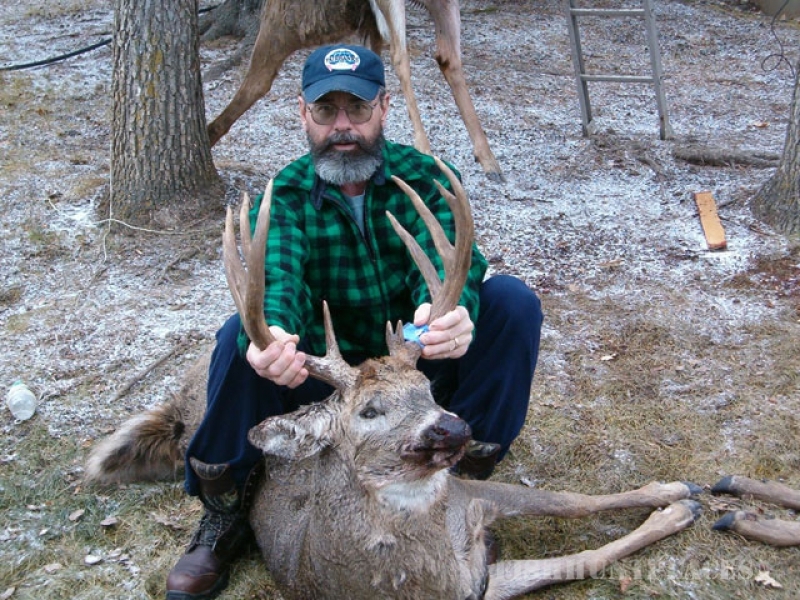 This is due to genetics as well as the environment the Deer live in. Our region is known for it’s rugged terrain. We have deep, thick forest and cold winter temperatures which cause the Deer to be more active and eat a lot. Deer need large muscular bodies to survive in these conditions. Our recent milder winters and the excellent food supply have helped the Deer grow Larger racks and helped them increase in number. 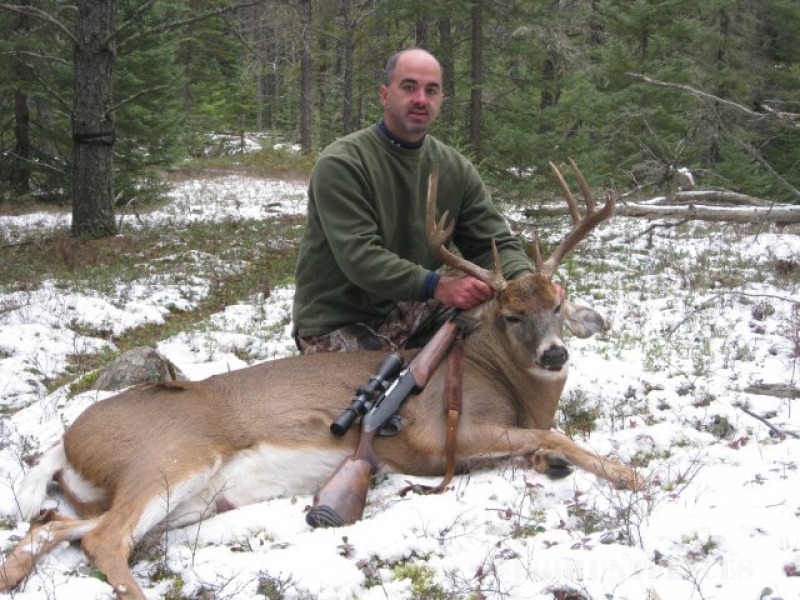 Now more than ever is the best time to Deer hunt in Northwestern Ontario. * Most hunters hunt from tree stands or ground blinds near trails, rubs, scraps, feeding areas, or by using drives to push deer to waiting standers. 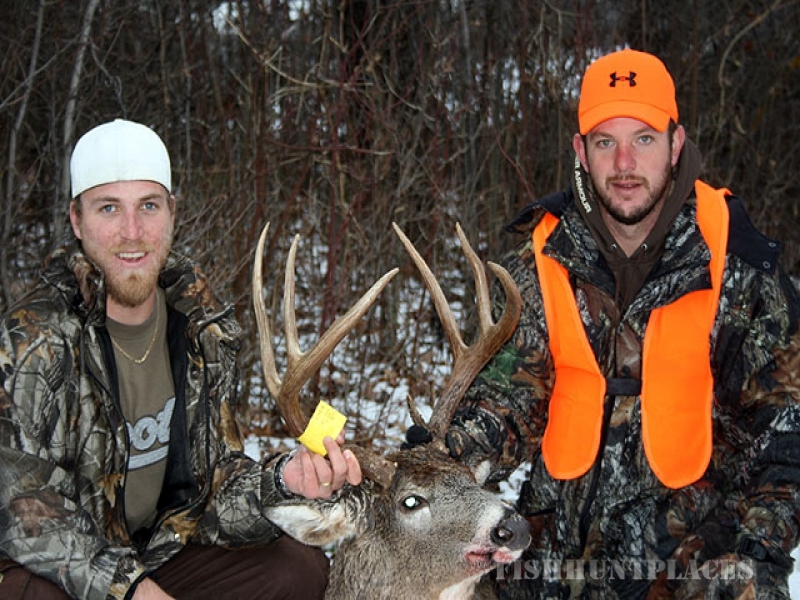 *The Ontario Record Whitetail Buck was harvested in our region in 2004 with a score of 223 gr 199 7/8 net green score. 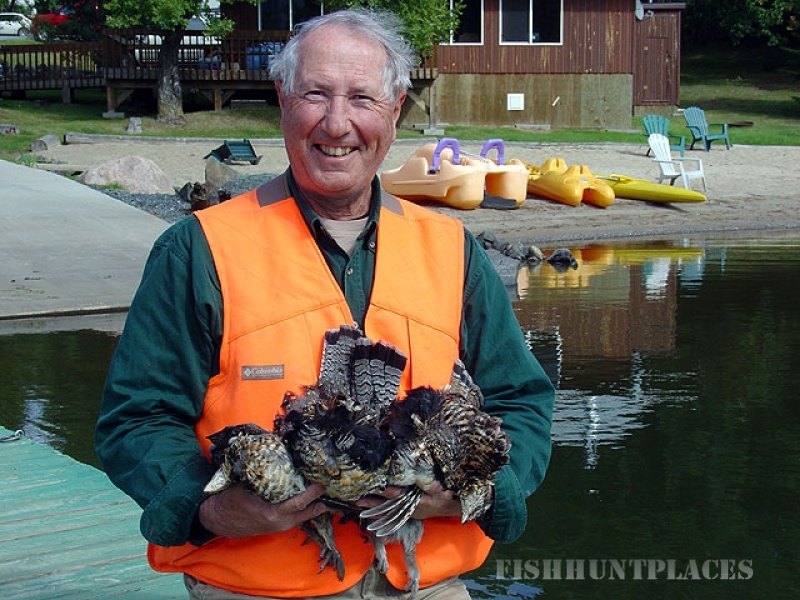 We have a few different options for guests who are looking to stay with us during hunting season.